UCLA scientists and colleagues have shown that temporarily blocking a protein critical to immune response actually helps the body clear itself of chronic infection. Published online on April 12, 2013 in Science, the finding suggests new approaches to treating persistent viral infections like HIV and hepatitis C. The research team studied type-1 interferons (IFN-1) (image shows structure), proteins released by cells in response to disease-causing organisms that enable cells to talk to each other and orchestrate an immune response against infection. Constant IFN-1 signaling is also a trademark of chronic viral infection and disease progression, particularly in HIV. "When cells confront viruses, they produce type-1 interferons, which trigger the immune system's protective defenses and set off an alarm to notify surrounding cells," explained principal investigator Dr. David Brooks, assistant professor of microbiology, immunology, and molecular genetics at UCLA's David Geffen School of Medicine and College of Letters and Sciences. "Type-1 interferon is like the guy in the watch tower yelling, 'red alert,' when the marauders try to raid the castle." Scientists have long viewed IFN-1 as beneficial, because it stimulates antiviral immunity and helps control acute infection. Blocking IFN-1 activity, they reasoned, would allow infection to run rampant through the immune system. On the other hand, prolonged IFN-1 signaling is linked to many chronic immune problems. The research team wondered whether obstructing the signaling pathway would enable the immune system to recover enough to fight off chronic infection. To test this theory, Dr. Brooks and his colleagues injected mice suffering from chronic viral infection with an antibody that temporarily blocked IFN-1 activity. For the first time, scientists have demonstrated the mechanism of action of gossypin, a naturally-occurring substance found in fruits and vegetables, as a treatment for melanoma, which causes the majority of deaths from skin cancer. "We identified gossypin as a novel agent with dual inhibitory activity towards two common mutations that are the ideal targets for melanoma treatment," said Hareesh Nair, Ph.D., of Texas Biomed, formerly the Southwest Foundation for Biomedical Research At the moment, there is no single therapeutic agent or combination regimen available to treat all melanomas, of which about 76,000 new cases are diagnosed annually, according to the American Cancer Society. "Our results indicate that gossypin may have great therapeutic potential as a dual inhibitor of mutations called BRAFV600E kinase and CDK4, which occur in the vast majority of melanoma patients. They open a new avenue for the generation of a novel class of compounds for the treatment of melanoma," Dr. Nair added. The report was published online on March 29, 2013 in Molecular Cancer Therapeutics. Dr. Nair and his colleagues found that gossypin inhibited human melanoma cell proliferation, in vitro, in melanoma cell lines that harbor the two mutations. Gossypin stunted activities of the mutated genes, possibly through direct binding to them. It also inhibited the growth of various human melanoma cells. In addition, gossypin treatment for 10 days of human melanoma cell tumors with the mutations transplanted into mice reduced tumor volume and increased survival rate. Further studies are planned by Dr. Nair's team to understand how the body absorbs gossypin and how it is metabolized. The ongoing dance between a virus and its host distinctly shapes how the virus evolves. While human adenoviruses typically cause mild infections, recent reports have described newly characterized adenoviruses that can cause severe, sometime fatal, human infections. Researchers from the Massachusetts Eye and Ear Infirmary and Harvard Medical School, the Provincial Laboratory for Public Health in Calgary, Canada, the School of Systems Biology at George Mason University in Virginia, and the Department of Microbiology and Immunology at the University of Oklahoma Health Sciences Center report using a systems biology approach to show how evolution has affected the disease potential of a recently identified novel human adenovirus. Their approach is based on the belief that understanding viral evolution and pathogenicity is essential to our capacity to foretell the potential impact on human disease for new and emerging viruses. 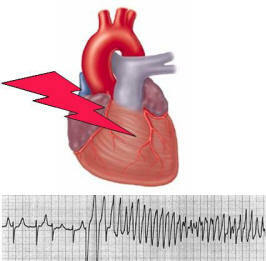 Their study was published online on April 9, 2013 in an open-access article in mBio. 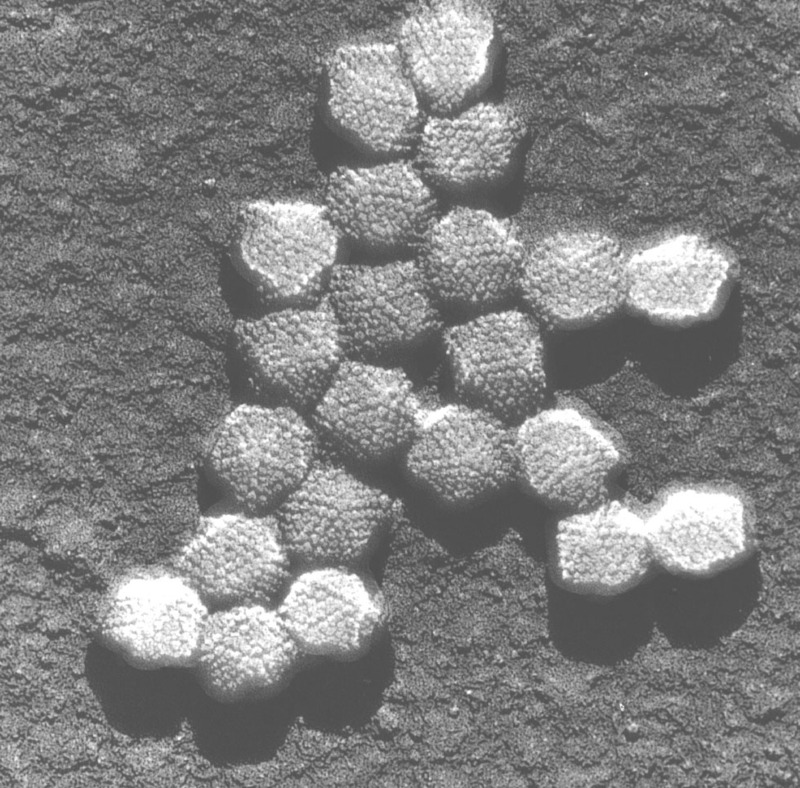 Since the first adenovirus was characterized in 1953, 69 human adenoviruses (HAdVs) have been recognized as unique types. Analysis of whole-genome sequence data for existing and new HAdVs confirmed a critical role for homologous recombination in adenovirus evolution, leading to new and sometime serious human infections. The emergence of new HAdV types, with several associated with severe eye infection, prompted the investigators to apply a systems biology approach to try to predict the ocular tropism of a previously uncharacterized and highly novel HAdV, isolated by nasopharyngeal swab from a 4-month-old boy with several bronchiolitis. A combined genomic, bioinformatics, and biological analysis identified a unique deletion in a key protein of the viral capsid and further suggested the potential of the virus to cause severe ocular infection. Humans could learn a thing or two from turtles, and scientists who have just sequenced the first turtle genome uncovered clues about how people can benefit from the shelled creatures' remarkable longevity and ability to survive for months without breathing. Understanding the natural mechanisms turtles use to protect their heart and brain from oxygen deprivation may one day improve treatments for heart attack and stroke, the researchers said. UCLA conservation biologist and lead author Dr. Brad Shaffer collaborated with the Genome Institute at Washington University in St. Louis and 58 co-authors on the multi-year research project. Their paper, which was published online on March 28, 2013 in an open-access article in Genome Biology, describes the genome of the western painted turtle, one of the most widespread and well-studied turtles in the world. Researchers were somewhat surprised to find that the painted turtle's extraordinary adaptations were not the result of previously unknown genes but of gene networks that are common in vertebrates — including humans, said Dr. Shaffer, a professor at UCLA's Institute of the Environment and Sustainability (IoES) and UCLA's Department of Ecology and Evolutionary Biology. "They're the same genes we have, and the turtles are just using them in different ways and really cranking up their activity in most cases," said Dr. Shaffer, who also directs the La Kretz Center for California Conservation Science at the IoES. "Given how extreme their adaptations are, I imagined we would see weird new genes, so I was surprised," he added. The "holy grail" for understanding how and why koalas respond to different infectious diseases has been uncovered in an Australian-led, world-first koala transcriptome sequencing project. The joint undertaking between the Queensland University of Technology (QUT) and The Australian Museum has unearthed a wealth of data, including the koala interferon gamma (IFN-) gene - a chemical messenger that plays a key role in the iconic marsupial's defense against cancer, viruses, and intracellular bacteria. Professor Peter Timms, from QUT's Institute of Health and Biomedical Innovation (IHBI), said the IFN- gene was the key to finding a cure for diseases such as Chlamydia and koala retrovirus (KoRV), currently threatening the vulnerable species. "We know koalas are infected with various strains of Chlamydia, but we do not know why some animals go on to get severe clinical disease and some do not," Professor Timms said. "We also know that genes such as IFN- are very important for controlling chlamydial infections in humans and other animals. Identifying these in the koala will be a major step forward in understanding and controlling diseases in this species." The research team, made up of Professor Timms, Dr Adam Polkinghorne, Dr Ana Pavasovicand Dr Peter Prentis from QUT; The Australian Museum; veterinarians from the Australia Zoo and the Port Macquarie Koala Hospital; and bioinformaticians from Ramaciotti Centre and the University of New South Wales (UNSW), has sequenced the complete transcriptome from several koala tissues. Dr. Polkinghorne from QUT's School of Biomedical Sciences said data sets from immune-related tissues of Birke, a koala that was euthanized following a dog attack, have revealed a wealth of information about the species' immune system including the sequences of at least 390 immune-related genes. A dozen Ludwig Institute for Cancer Research scientists from around the world presented the latest advancements in basic and clinical cancer research at the American Association of Cancer Research (AACR) Annual Meeting 2013 in Washington, D.C. Progress in immunotherapy and epigenetics led the program with important diagnostic and treatment implications for emerging cancer therapy. "With new immunotherapy agents available to help patients with melanoma, researchers are developing prognostic biomarkers to determine who will benefit most to fully realize the potential of these treatments," explained Jedd D. Wolchok, M.D., Ph.D., director of Ludwig's Collaborative Laboratory at Memorial Sloan-Kettering Cancer Center during his presentations at the AACR meeting. "By identifying targeted combinations of agents, the immune response can be improved in certain patients with melanoma, the most dangerous form of skin cancer." Developments in immunotherapeutic treatment of ovarian cancer was highlighted in a "Meet the Expert" session with George Coukos, M.D., Ph.D., director of the Ludwig Center for Cancer Research of the University of Lausanne, in Switzerland. His presentation described current progress and future prospects in vaccine and adoptive T-cell therapy development, as well as immunomodulatory therapy tools available for immediate clinical testing. "Ovarian cancer remains a very important therapeutic challenge," commented Dr. Coukos. "With no drugs approved in two decades in the U.S. and no therapeutic targets emerging from deep sequencing analyses, immunotherapy could offer a promising new approach." Dr.
New research shows how the interaction between Atlantic salmon and the infectious salmon anemia (ISA) virus leads to the development and spreading of the influenza-like disease ISA in fish. The new findings, which were described in an April 10, 2013 press release, may be of relevance to research on influenza generally. ISA was detected for the first time in Norway in 1984 and still poses a serious threat to the fish farming industry. ISA is the only disease of farmed Atlantic salmon that is listed by the World Organization for Animal Health. The disease usually breaks out in one cage and gradually spreads over a period of weeks and months to neighbouring cages. The disease cannot be treated and an outbreak of ISA can therefore result in large losses. In her doctoral thesis, Maria Aamelfot elucidates some phases of the disease development. She has studied what types of cells are receptive to the virus and what cells actually become infected by the virus. Her findings describe the ability of the virus to infect or damage certain cells, tissues, or organs. Aamelfot’s research on this interaction between salmon and the ISA virus provides us with new knowledge about how the disease ISA develops and represents an important contribution towards possible disease prevention. Aamelfot has developed a method of detecting which cells and organs the virus can attach itself to and use as a port of entry for infecting the organism. If a virus is to be able to infect a cell, the cell must have the virus’s specific receptor (adhesion structure) on its surface. Different viruses use their own specific receptors and the virus adheres to these, just like a key fits in a lock.